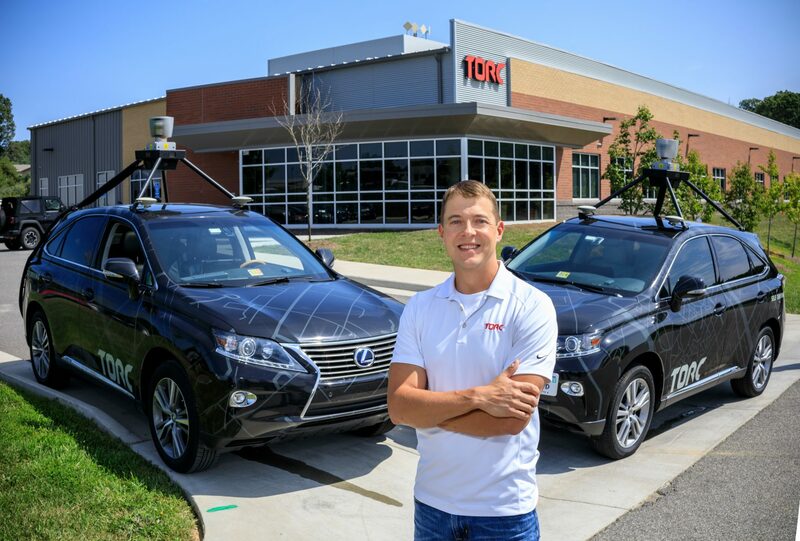 TORC, a leader in the unmanned systems industry, continues to roll out groundbreaking technology that puts the growing company and Virginia’s New River Valley on the map. Recently dubbed Blacksburg’s “poster child” by the Roanoke Times, TORC has long been celebrated as an important asset. 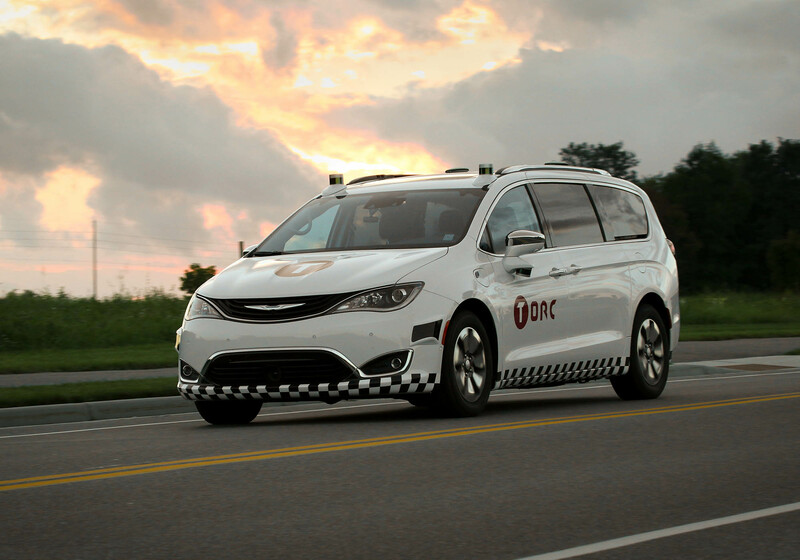 TORC recently unveiled a new autonomous vehicle – a 2017 Chrysler Pacifica that contains the same technology as Asimov, but with a much more inconspicuous look. The new priority for TORC is commercialization; it’s less about showing off and more about showing up. Virginia’s New River Valley has a large presence of both advanced manufacturing and software development, both of which the unmanned systems industry requires. The presence of a company like TORC legitimizes the area as a hub for unmanned systems. 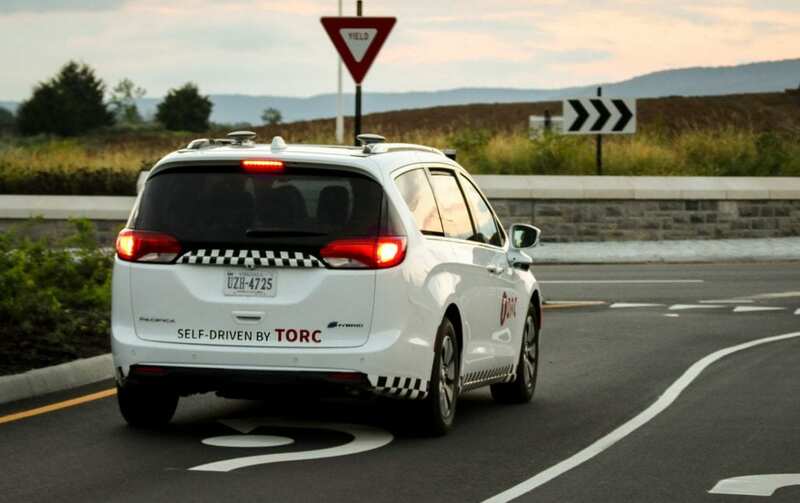 “For [Torc] to be making a significant impact in the industry and them being located here really helps justify why we say it’s a great place for unmanned systems,” said Onward NRV Executive Director Charlie Jewell in a interview with the Roanoke Times. TORC’s presence in the region helps spur activity for the industry and calls attention to applicable regional assets. TORC was also recently covered in Site Selection Magazine by Ron Starner, the Executive Vice President of Conway, Inc. during the Virginia Tech Corporate Research Center’s VIP Media Day. Starner had the chance to experience TORC’s self-driving technology firsthand. Fleming helped Starner discover what locals have known for awhile: Virginia’s New River Valley is great for Unmanned Systems. As the Unmanned Systems industry continues to grow, so will TORC. The company has grown more in the past year than it has in the previous ten. TORC continues to draw national attention and be a local source of pride, proving this is just the beginning of UAS in the NRV. VTCRC VIP Media Day Brings Global Attention to the NRV Virginia Tech College of Engineering Moves Up to #13 in U.S.